I love lemons. 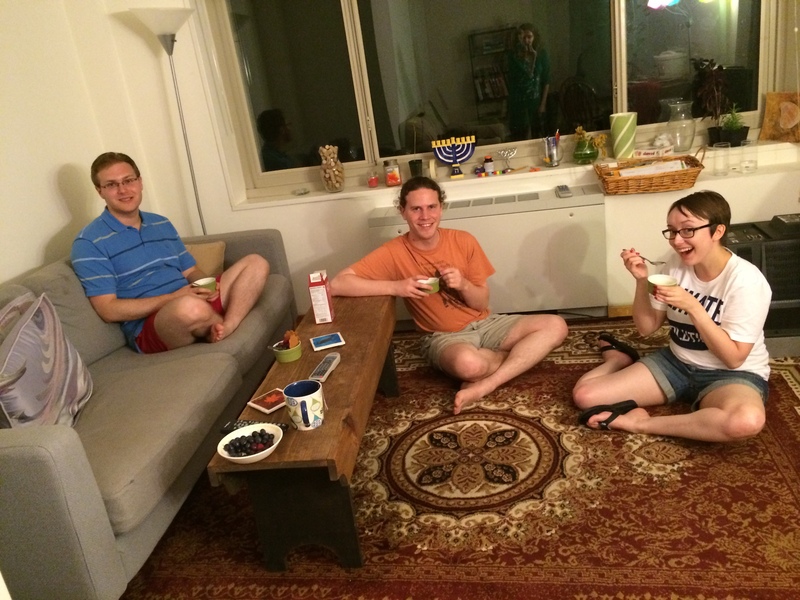 They are so bright and cheerful! Summer is finally here, and no fruit brings this to mind more than lemons. Whether as lemonade, in lemon sorbet, drizzled over grilled fish, or simply as a garnish for water or iced tea, lemon always seems to outshine. And it’s no wonder, given this citrus’s history. No one knows exactly when lemons originated, but most historians agree that they likely originated in India. Thanks to the Torah’s outlining of the four species to be waved on the Jewish holiday of Sukkot, we know that one of the lemon’s parents, the citron (ie estrog) was around well before the common era. For much of the lemon’s early history, it was not used as a food, but rather as an ornamental plant for decorating homes and gardens, or for medicinal properties. Historians believe that lemons made their way to Ancient Rome by the first century AD. Over the next few centuries, the citrus circulated across the Middle East and Mediterranean. Egyptians drank a beverage called kashkab , which was made of fermented barley, mint, rue, black pepper, and lemon leaf. A combination of Arab conquerors, European crusaders, and Jewish merchants are believed to have helped lemons spread all the way from the Middle East to Europe. European cultivation began in Genoa, Italy in the 15th century. So it is no coincidence that Italian explorer Christopher Columbus brought lemon seeds on his voyage to the Americas, starting in Hispanola in 1493. Over the next few centuries, lemons were cultivated in California and Florida. Growers faced challenges in the late 19th century, especially during the harsh winter of 1894-5 when a freeze destroyed many of the lemons. Planting and mass production did not resume again for several decades. In fact, it wasn’t until 1953 that the industry recovered, when American consumers demanded frozen lemon (and orange) concentrates and lemon oil. Smith, Andrew, “Lemons.” The Oxford Companion to American Food and Drink, ed. Andrew Smith, 206-7. New York, Oxford University Press, 2007. Since Italy had such an important role in the lemon’s history, I thought it was only fair to prepare an old Italian favorite—lemon ice. 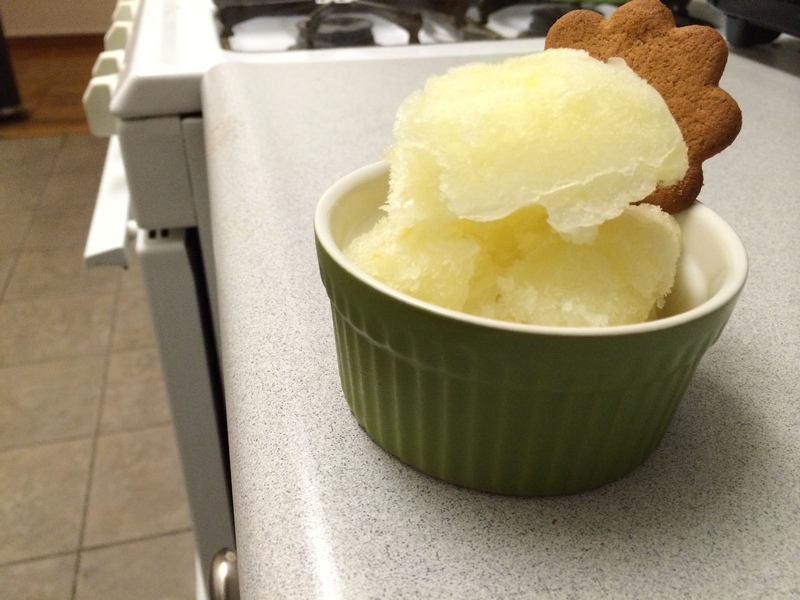 I adapted this dessert from Julia Child’s recipe for lemon sorbet, adding a bit more lemon than she did because I like sour. If you don’t, no worries—feel free to use less lemon juice or zest! 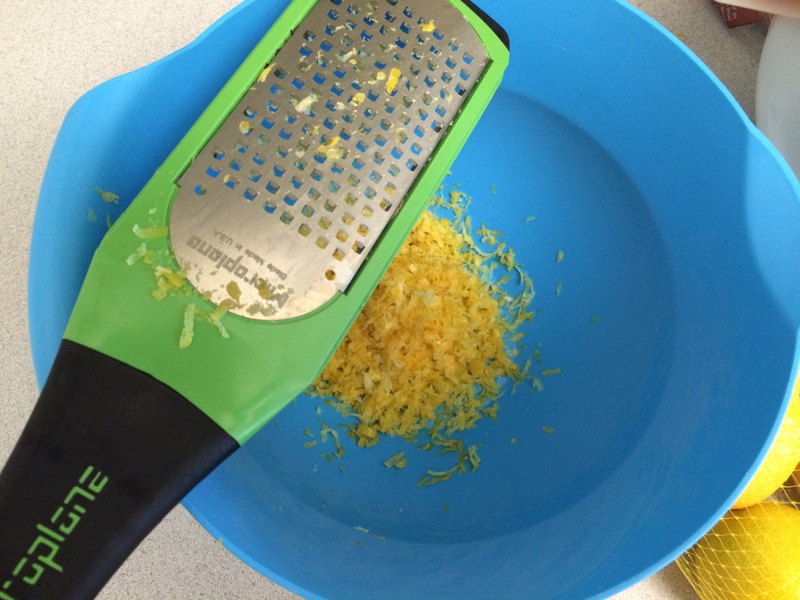 1) Prep lemons: grate ½ cup lemon zest and juice 1 cup lemon juice. Zesting the lemons with the wonderful zester I got from my Aunt Susan! 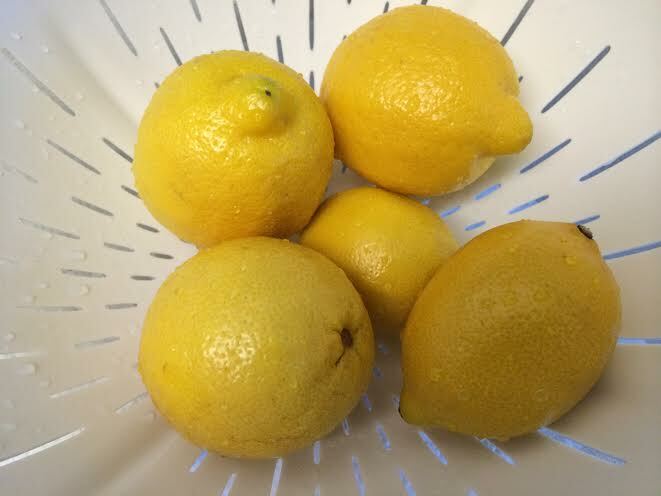 2) Combine lemon zest and 1 cup sugar in a large saucepan. Add 1 ½ cups cold water. 3) Place saucepan on heat and simmer. Add sugar and cook until dissolved. 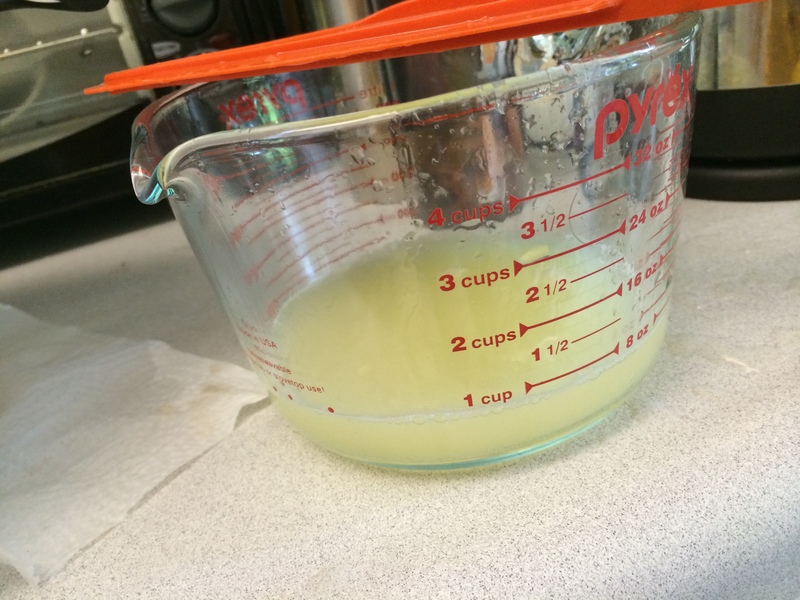 4) Remove from heat and add lemon juice and remaining water. 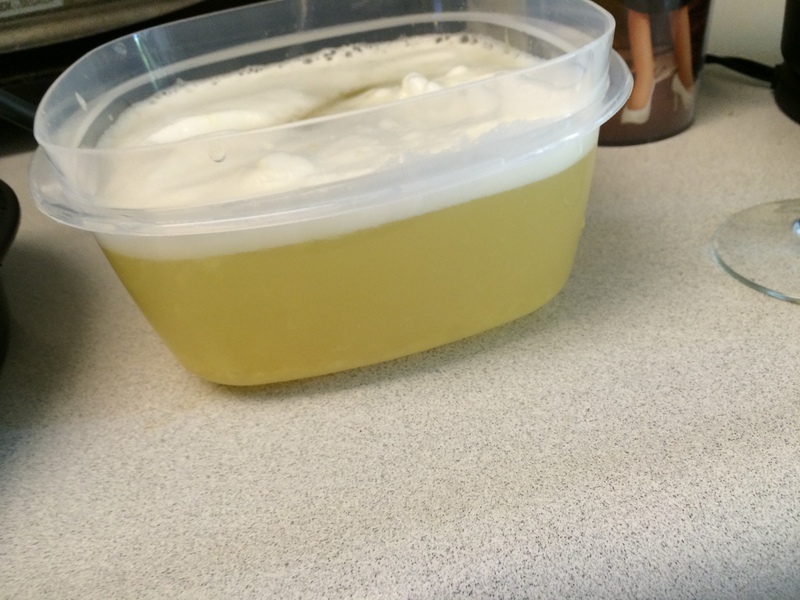 5) Chill mixture until at least at room temperature in the fridge or in an ice bath of ice cubes. Minerva is busy as always, whipping those egg whites! 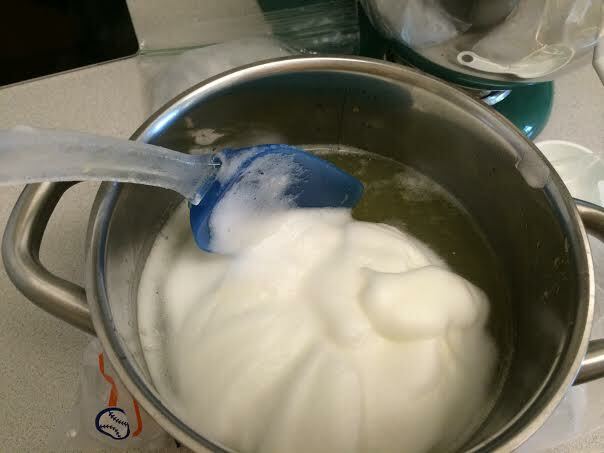 6) Whip egg whites and salt in an electric mixer until stiff peaks form. 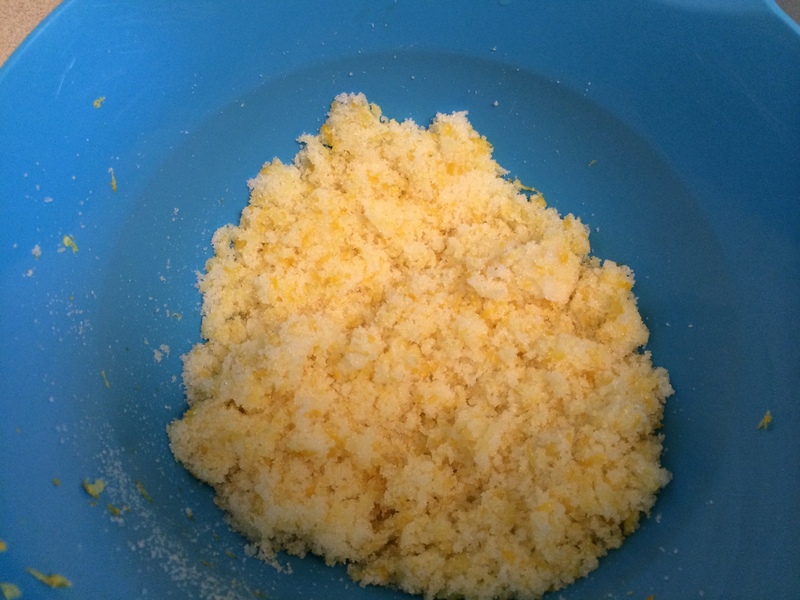 Fold into lemon mixture. 7) Now is the moment of choices. 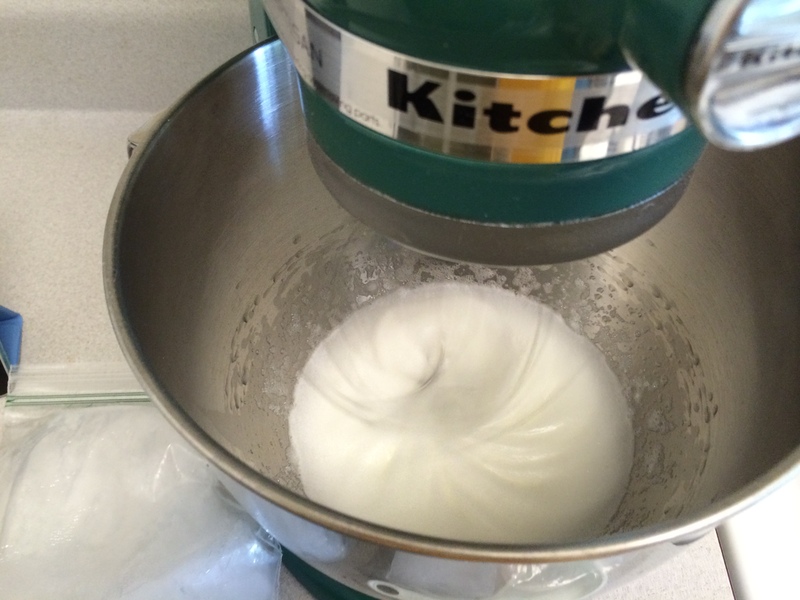 You may freeze the mixture in your ice cream machine or freeze in small containers and mix by hand every few hours until frozen solid. 8) Serve with ginger cookies for best results.